Organising studies anytime, anywhere: students can use the WiWi WWU app to register for exams, for example. Apps for organising studies, online learning platforms, video-based teaching modules: digitalisation is changing the way teaching is being done at universities – and that includes the University of Münster where, increasingly, digital teaching and learning formats are augmenting the traditional academic transfer of knowledge. During the last semester, for example, 28,000 out of more than 45,000 students here actively used the University’s Learnweb – whether to get presentations or to use the forums. At the 15 departments at Münster University, there are numerous digital offers relating to teaching and studying. Here are three different examples, described in these guest commentaries. "App makes daily life easier at university"
Teaching evaluations set down on paper – is that still up-to-date? And why can’t I register for exams anytime, anywhere? These are questions which 17 Business Information Services students doing their bachelor course asked themselves, and who then went on to develop the "WiWi WWU" app in two project seminars. The project seminar is a central element in the Business Information Services course and it enables students, with academic supervision, to find solutions to practical questions. Their aim was to develop an app tailored to students’ needs, and to this end they sent questionnaires to members of the Economics Faculty. On the basis of the 860 replies they received, they drew up a concept for the "WiWi WWU" app. 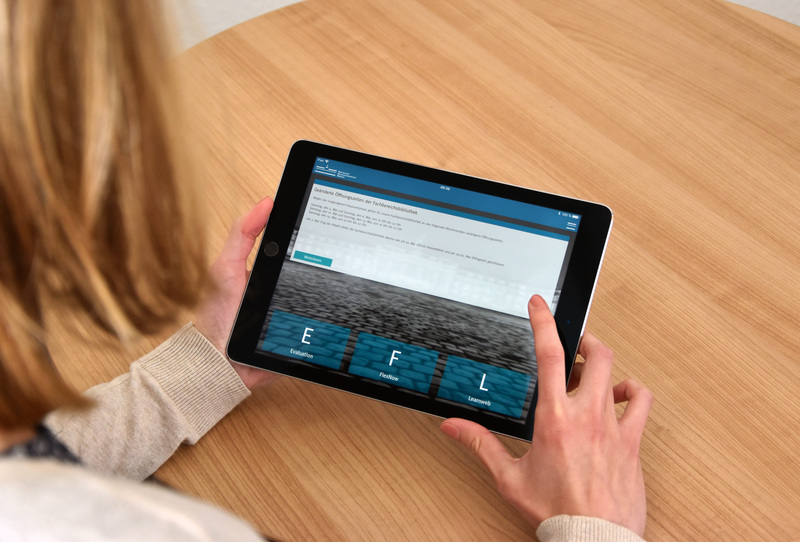 The app makes everyday university life easier for students – for example, they can view refectory menus, directly access the Learnweb or their university email accounts, search for someone in the Economics Faculty, look for literature, access a teaching evaluation, take a look at their grades or register for exams. To make all this become a reality, the students worked hand in hand with a large number of stakeholders such as the Dean’s Office, the Examinations Board, the Information Processing Centre (ZIV), the Students Association, the Evaluations Coordinators and the IT Support Units. And successfully so! Today, the app is used regularly by more than 1,000 students, making university life that much easier for them. 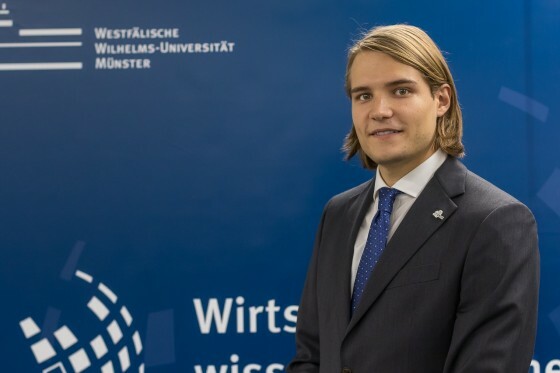 The "WiWi WWU" app makes digitalisation at Münster University tangible and shows how projects can be successfully undertaken through collaboration between a broad number of stakeholders who all have a common aim. The app is also helping to reduce the ecological footprint, as printing around 13,000 evaluation sheets every semester is now a thing of the past for the Economics Faculty. Jan Betzing is a research assistant at the Chair of Business Information Services and Information Management. "Platforms for implementing digital teaching"
Teaching staff who want to enrich and expand their seminars or lectures by using digital elements are often faced with the problem of finding a technical solution for what they have in mind. ZHLdigital is a function within the Centre for University Teaching and, in cooperation with the Economics Faculty, has made three platforms available – Learnweb, eLectures and ePrüfungen ("eExaminations") – as well as providing the relevant support. The platforms offer a wide range of specific ways of putting digital teaching into practice. The Learnweb makes it possible for teaching staff to create virtual online course-rooms which mirror the actual teaching done, as well as enabling them to make teaching materials available and use a variety of learning activities. The platform is variable in its uses, which means that, depending on individual teaching concepts, both a low-level, partial use of supplementary teaching elements and the implementation of entire digital teaching concepts are possible. eLectures is a service for recording lectures or seminars which can then be made available to students by teaching staff – with either restricted or unrestricted access – through Learnweb course-rooms (currently possible in 21 rooms; see homepage for list of rooms). In addition, the system provides an opportunity to annotate or analyse video or audio material (for example, interview material, or audio or video sources), either online or collaboratively. The ePrüfungen platform provides support in preparing and setting legally admissible digital examinations which can be taken in local computer pools, for example. Staff at the ZHLdigital function are only too pleased to help with questions on the three platforms or on how to use them as a part of any teaching concept. 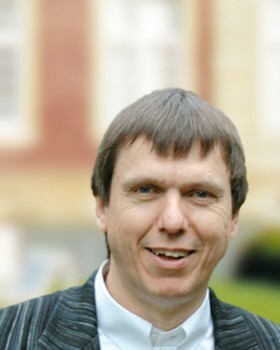 Dr. Markus Marek is the operational head of the "Digital" section at the Centre for University Teaching at the University of Münster. 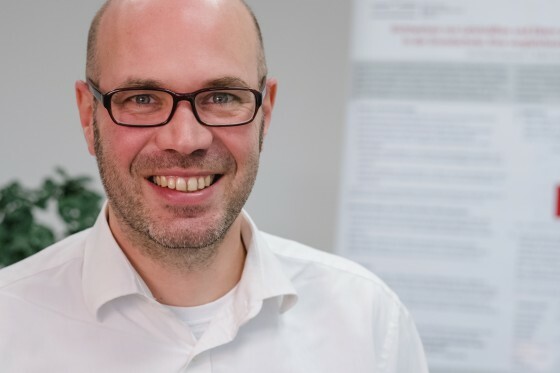 "Using videos to give teacher training more practical relevance"
The project entitled "Video-based teaching modules as a means of integrating theory and practice" is one part of the Teacher Training Quality Campaign at the University of Münster. In the project, actual teaching at schools is incorporated into university teaching by analysing videos of lessons, which makes teacher training more realistic. Evaluations by students have showed that they are enthusiastic about taking part in the video-based teaching modules as regards subject teaching and teaching methodologies, which enable them to professionalise their perceptions and analyses of lessons. They learn not only how to recognise the events during a lesson which are decisive for learning, but also how to analyse them on the basis of didactic and educational theory. They also learn how to think about measures which will help children to learn better. The main focus of lesson analysis is on how teachers should productively handle heterogeneity in the classroom, taking particular account of differences in ability or language competence, and what consequences students can draw for their later teaching activity in the classroom. The videos of the lessons were produced specially by a professional film team for the subjects of German, Geography, Mathematics, General Studies (at primary school) and Sport, as well as at vocational colleges; sound and vision were given post-production treatment. The videos of the lessons, including accompanying material, will be made available for teacher training purposes from June 27 on the Münster University video portal “ProVision” (www.uni-muenster.de/ProVision). On the same day there will be an opening event which will include talks and a workshop on the subject of "Teaching and learning with videos" (registration by email: provision@wwu.de). Video-based teaching marks an important step in the integration of theory and teaching practice. 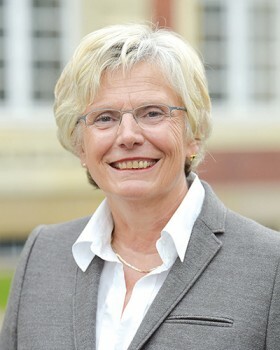 Prof. Kornelia Möller and Prof. Manfred Holodynski are responsible for this project within the overall Teacher Training Quality Campaign at the University of Münster.